P-ding! There it is again—our ILYBYGTH alert when schools insist on blocking knowledge. If you’re just joining us, you might be under the impression that the point of school is to teach kids stuff. That’s partly true, but it’s not the only thing schools do. As SAGLRROILYBYGTH are painfully aware, schools have also always worked just as hard to keep kids from knowing stuff. Don’t believe me? Check out the news from the Charlotte-Mecklenburg school district. According to a report in the New York Times, conservatives grumbled about a new book offered for first graders, Jacob’s New Dress. Their beef: No youngster should know that some boys like to wear dresses. Before you assume, though, that those pesky conservatives are the only ones who want to stop kids from acquiring knowledge, read on. In these sorts of culture-war confrontations, everyone agrees that kids should remain ignorant. They only disagree on the details. In this incarnation, the story follows the same culture-war script I described in my recent book about educational conservatism. A teacher called a conservative group to warn them about the book selection. The conservative activists issued press releases. The district instantly caved at the merest whiff of controversy. Even if we don’t agree with her, we should note—except for the goof about equating cross-dressing with transgender—the conservative activist was correct. The school and the book really DID want to normalize the idea that a boy might like to dress up in traditionally feminine clothing. According to the NYT, the authors hoped to help people see that there’s nothing weird about a boy choosing to wear a dress. For new readers, let me be clear: If anyone were to ask me my personal opinion, I wouldn’t hesitate. I strongly agree with the goals and approach of the progressive authors. I think kids should read their book. But that’s not the main point here. Instead, we want to look at the ways the progressive activists agreed with their conservative foes without even realizing it. Just as the conservative activists read from their traditional script, so too did the progressive authors. In the future, the authors assumed, no one would find their book objectionable or even remarkable. As one author put it, “Our hope, when we wrote this book, was that some day it would be considered quaint. We imagined future generations saying, ‘What was the fuss about?’ Clearly, there’s more work to do.” Just as conservatives have always hoped to lock out any hint of progressive ideas, so too have progressive activists always assumed without much evidence that their ideas would win in the end. It might seem as if the two sides are miles apart. When it comes to blocking knowledge, though, both sides agree. 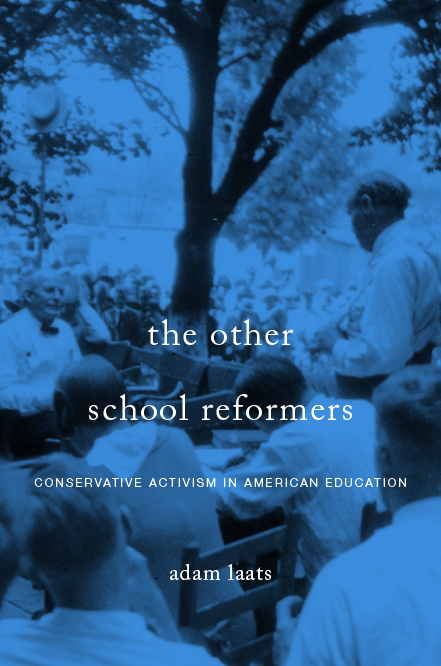 The book’s authors share the conservative activists’ desire to block kids from certain forms of knowledge. They disagree, of course, about what to block. Conservatives in this case—and in (almost) every case—hope that kids won’t find out yet that some people like to dress up in non-traditional clothes. And progressives don’t want their young people to know that some people find non-traditional gender dressing weird or objectionable. Both sides want to keep kids safe from certain forms of knowledge. Both sides assume that they have common sense on their side. But neither side would admit to blocking knowledge. Yet that sort of knowledge-blocking has always been at the heart of our educational system. It has also always been at the heart of our educational culture wars. People disagree about what ideas should be kept from kids. They also disagree about how old kids should be before they are introduced to certain forms of knowledge. But everyone agrees—without even talking about it—that schools MUST block some information from kids. At least as important as delivering knowledge to children, our schools exist to keep knowledge away from them.